Our small but perfectly formed community can now boast both an award winning pub and cricket club in our village, congratulations to both. 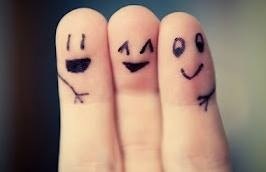 This is our 92nd post, 55 pages, over 6500 views and 211 followers in various forms: email, blog, Facebook and Twitter. So “thehorleyviews” has definitely gone social, with each media having different levels of interaction, and with Facebook being the most active. So what’s in store now the clocks have gone forward? MAUNDY THURSDAY (2nd April)– after the success of the Palm Sunday Pilgrimage, there will be another one this Thursday, starting at 1.15 at Hanwell Church, walkingonto Drayton and Wroxton with a traditional Maundy Thursday washing of feet service. 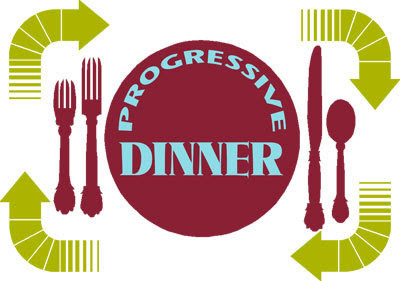 There will then be a Passover meal along the lines of the Jewish Seder in Shenington at 6.30 in the Church Hall. Followed by a Eucharist service in the Church at 7.30. If you would like to come to any or all of this, you are very welcome, please let the Reverend Dr. Hugh White know on 01869 347889. Keep the Horton General – 16th April. SEWING CIRCLE – Do you enjoy sewing at home? Soft furnishings or dressmaking? Would you like to extend your skills or share them with like-minded people in Horley? A sewing circle has been suggested which would be held once a month/ fortnight in the Old school. The organisers are looking at numbers and feasibility at the moment. If you would like to express an interest, please let Sue Patching know on 730039. CRICKET –Thank you to everyone who came along and supported the registration evening at the Old School last week. A great number of juniors have already signed up, please remember that last year the Cricket Club didn’t have enough places so if you haven’t joined but would like to, get your forms back to Judith Beck in Horley as soon as possible. The first cricket practice is on Tuesday April 28. PALM SUNDAY PILGRIMAGE was held last Sunday. Despite atrocious weather, a happy band of Pilgrims met in Alkerton for a short service and then made their way over to Hornton where they were served welcome refreshment at the Methodist Chapel. More joined on as the Pilgrimage continued to Horley where an eagerly received lunch was served up by Natasha in The Red Lion. Thoroughly refreshed, the pilgrims continued onto Hanwell with better weather in the afternoon. Many thanks to the Reverend Dr. Hugh White for organising this Pilgrimage. Despite the weather, everyone enjoyed the walk and especially the delicious lunch at the Red Lion. DOG MESS – Dog mess is again becoming a problem in Horley, particularly on the bridleway off Hornton Lane heading eastwards as you go out of the village. Dog waste bags are available free of charge – please see Maureen Keenan in Lane Close. Everyone should pick up their dog waste – it is your responsibility! Let’s all keep the village clean, thank you. BROWNIES – Hornton Brownies takes place every Monday evening from 5-6.30 in the Pavilion, Hornton. Liz Hirst needs more adult help, someone who she can call on occasionally and will look after the brownies. If you would be interested in helping please call Liz on 670125. Also if your child is interested in joining brownies, contact Liz because there are still places available. A MIDSUMMER NIGHT’S DREAM – In the summer of 2015 A Midsummer Night’s Dream is being performed by children and adults of Horley. If your child would like to be in it please contact Tessa Howell as rehearsals are in full swing. To catch up with the practices going on at the moment, or missed rehearsals, contact Tessa on 738313. Want to share anything or have any suggestions just email us at horleyviews@outlook.com. This entry was posted in Posts by Horley Views and tagged Banbury Guardian, Cricket Club, Debra Fox, Horley, Horley Footlights, Horley Parish Council, Midsummers Night's Dream, Progressive Dinner, Red Lion, Safari Supper, Village Calendar, Village Communications on March 31, 2015 by thehorleyviews. 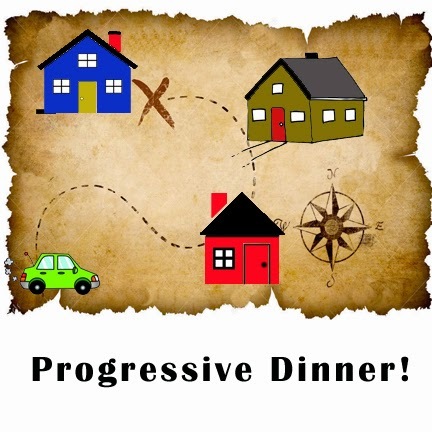 A date for your diary for this years Progressive Dinner (last year only aka Safari Supper). This annual highlight of the Horley social calendar has come around a little earlier than last year – as we took note that it may be better to try and navigate between hosts in as much daylight as possible…. So 27th June is set as the date to once again showcase the culinary talents of various hosts around the village and to once again meet faces that you see regularly but never get the chance to speak to. For the uninitiated – we meet in the Red Lion, where for the exchange of £20 and a bottle of wine you will then receive the first of three envelopes detailing your journey around the village. Another two courses/houses await you – with the end destination back in the pub to discuss your expeditions. It’s great fun – and also has the added benefit of raising much needed funds for the church. Read all about last years Reported sightings – Safari Supper. This entry was posted in Villagers and tagged Progressive Dinner, Red Lion, Safari Supper, St. Etheldreda’s Church on March 13, 2015 by thehorleyviews.